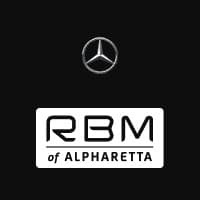 When you want a luxury car that boasts top-notch performance alongside sheer opulence, a new Mercedes-Benz sedan is the avenue you should take, given your distinct options and the excellent service available at RBM of Alpharetta. With both the C-Class and E-Class lineups in stock, our dealership is the place to go to find exactly the model you desire. Pick out the one you like with the exact specifications you crave, and contact RBM of Alpharetta to arrange a test drive. There’s no question that purchasing or leasing a new Mercedes-Benz sedan is an excellent choice, but when debating where to go to make the deal official, RBM of Alpharetta should certainly top your list. Not only has our dealership been named a 2017 DealerRater Dealer of the Year Award winner, thanks to countless rave reviews from customers just like you, but we also have a vast inventory of trims, colors, and styles, along with competitive financing rates. Why would you go anywhere else?